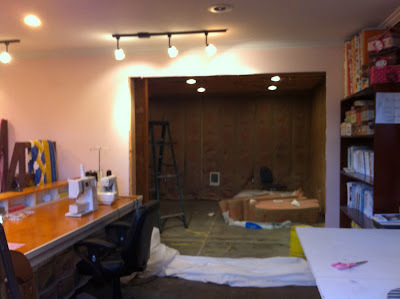 Bella Jean Boutique: There's a Hole in the Wall!!! Yesterday was a day with lots of accomplishments. 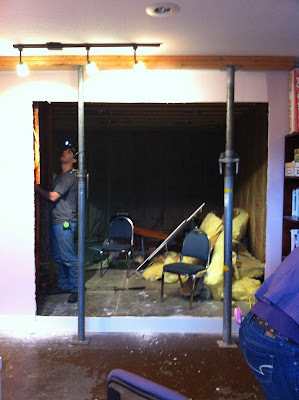 Besides just getting some sewing jobs done in the midst of it all a hole was made in our wall. Yeah!!!! It means our shop extension is really coming along. 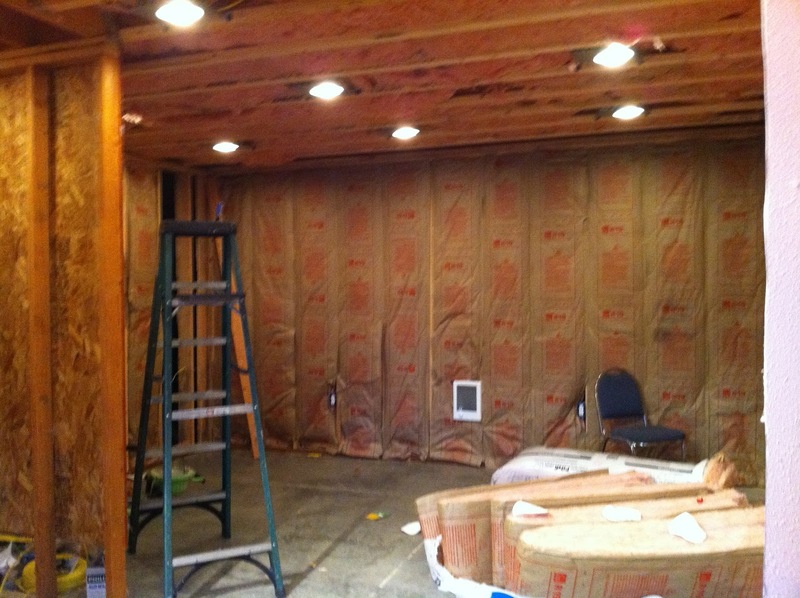 My brothers got all the insulation in and then they tore out the existing wall so now we can see right into the new part of our sewing room. The electricity works so now the sheet-rocking can happen. It's really coming along much, much faster than I had ever expected. All the excitement is making us want to look up new storage ideas and sewing studio designs so we can come up with a new sewing studio best suited to our needs. If you have any ideas at all, please let us know!!! We need your help! Getting ready to take out the wall! It's out! That was fast! This morning after the electricity is all put in! Our future closet and fitting room! Wow girls, that is getting exciting. Can't wait to see the finished store! 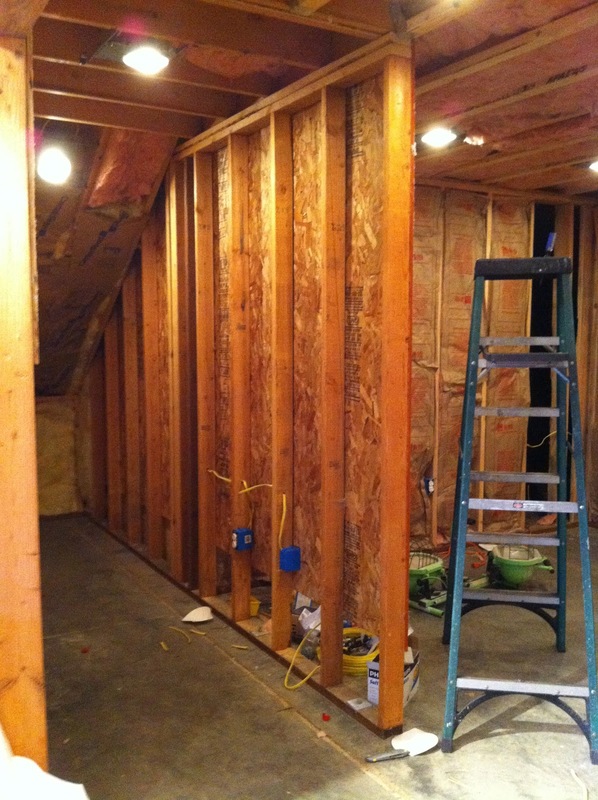 You are going to love the extra space! I can't wait to see it for myself!